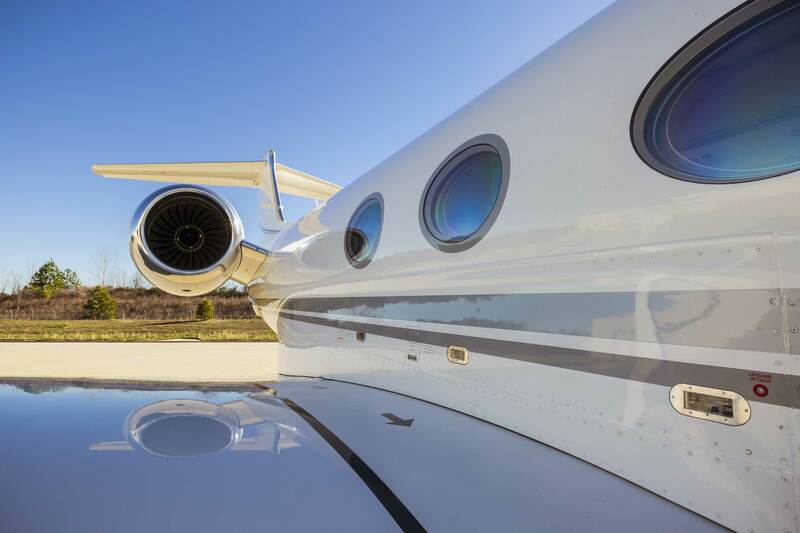 As is widely known in the business aviation community, general aviation aircraft account for 0.6 percent of U.S. transportation carbon emissions and 0.2 percent of total global greenhouse gas emissions. The industry’s continually improving record is thanks to an ongoing focus on the development of engines, aircraft and operating procedures that reduce emissions. While the industry’s record of continuing progress on carbon emissions is laudable, policymakers in the U.S. and around the world continue to closely examine aviation emissions as part of an overall review of all carbon emissions from transportation. This ongoing scrutiny has been prompted and sustained by repeated calls for limitations or reductions in carbon emissions. Since its formation, the European Union (EU) has been considering options for an environmental program applicable to aviation. EU policymakers have settled on and are moving toward implantation of a plan for aviation known as the EU Emissions Trading Scheme (EU-ETS). The ETS would incorporate all flights by eligible aircraft arriving at or departing from EU airports in the EU ETS. There is an exemption for commercial aircraft operations which have fewer than 243 flights per period for three consecutive four-month periods or commercial aircraft flights with total annual emissions lower than 10,000 metric tons per year. NBAA believes that environmental stewardship is an imperative, but also that reasonable and balanced policies should be pursued that support the industry’s twin goals of promoting the mobility and growth of business aviation while minimizing its environmental footprint. The association has worked diligently with the European Business Aviation Association (EBAA), the International Business Aviation Council (IBAC) and European regulators to help shape the rules to make them as workable as possible for business aviation, and the modifications European regulators have made to their original ETS proposal reflect the advocacy efforts from the industry. What's Expected of NBAA Members in Order to Comply with the EU ETS? View step-by-step instructions which walk operators through the determination of their need to comply with the EU Emissions Trading Scheme and the steps needed to submit the required annual emissions monitoring plan as well as the optional emissions benchmarking plan. Aircraft operators flying to, from, or within European Union countries will need to be in compliance with the European Union Emissions Trading Scheme. As EU officials considered easing carbon limits for operators in a carbon-emissions trading plan, privacy concerns about the regulation emerged. NBAA welcomed the FAA's decision to begin initial testing this fall of four unleaded aviation fuels at the agency's William J. Hughes Technical Center near Atlantic City, NJ. The European Union continues to move forward on its proposal to 'stop the clock' for implementing its Emissions Trading Scheme on non-EU operators, with a final vote anticipated in spring 2013.
he European Commission in Brussels announced earlier this week that it will temporarily suspend Emissions Trading Scheme requirements for flights operating to and from non-EU airports for a period of one year – until the November 2013 ICAO Assembly – to allow space for positive negotiations and international action on an alternative scheme. Recent developments in Washington, DC and Brussels dealt major setbacks to the European Union's Emissions Trading Scheme (EU-ETS) as it is applied to aviation. Sen. John Thune (R-SD) is proposing a bill that would prevent U.S. aircraft operators flying to and from the European Union from having to comply with the EU's Emissions Trading Scheme (EU-ETS). NBAA Members are working through the particulars of European Union's Emissions Trading Scheme (EU-ETS) compliance and finding that, in many cases, the process is very difficult. Even as protests continue against the European Union's Emissions Trading Scheme (EU-ETS), implemented January 1, 2012, aviation operators outside the EU are starting to come to grips with the mechanics of compliance. Delegates from 26 nations will meet in Moscow later this month to discuss ways they will combat the European Union's recently implemented Emissions Trading Scheme (ETS). The January 2012 implementation of the European Union's Emissions Trading Scheme (EU-ETS) raised concerns among operators worldwide. With the advent of 2012 comes Europe's implementation of one of the most controversial programs in the history of civil aviation. In an attempt to curb generation of greenhouse gases, the European Union put into effect its Emissions Trading Scheme (EU-ETS) on New Year's Day. With a January 1, 2012 start date for EU-ETS at hand,tensions between the European Community and the rest of the world are on the rise. Tension over the EU's emissions-taxing proposal grew with the International Civil Aviation Organization's adoption of a measure rejecting the plan. Concerns in the U.S. and worldwide are growing more vocal over implementation of a proposed new European tax on aircraft carbon emissions. A July 2011 white paper from business aviation analyst Brian Foley says the EU-ETS plan, if implemented, could slow industry's recovery. The European Union Emissions Trading Scheme (EU-ETS) Eurocontrol ETS Support Facility will be launched around February 14, 2011 to aircraft operators, and more specifically to small emitters, wishing to report their emissions through the simplified monitoring procedure.